Can we get an OOOHHHH YEAHHHHH!? 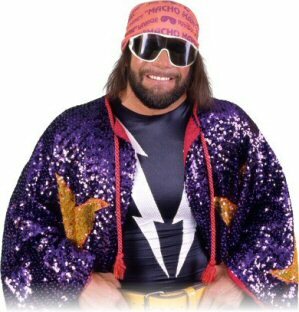 Not only is it Friday, WrestlingDVDNetwork.com is treating you to the full line-up of content for WWE’s Unreleased DVD on “Macho Man” Randy Savage! 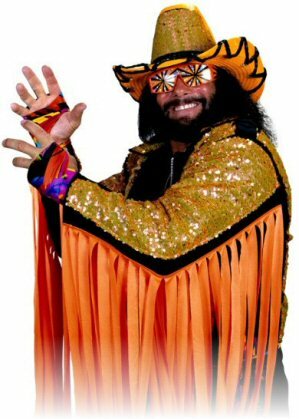 “Randy Savage Unreleased: The Unseen Matches of the Macho Man”, a 3-disc DVD set, is scheduled for release in May 2018 as four familiar hosts will present a rare collection of more than 40 never-before-released Macho Man matches and additional moments. The madness begins in 1985 with content from WWF Championship Wrestling and ends nearly 15 years later on WCW Monday Nitro (yes, that means WCW content is confirmed for inclusion too). In between you’ll find some internationally broadcast matches only seen on German and Italian TV, a special WrestleMania 3 rematch between Savage and Ricky Steamboat from WWE’s first-ever house show under Paul Boesch, and unreleased bouts from the vault involving the likes of Andre the Giant, Hulk Hogan, Ultimate Warrior, Jake “The Snake” Roberts, The Undertaker, Ric Flair, Ted DiBiase, Steve Austin, Dusty Rhodes, and “Rowdy” Roddy Piper! Fans in the United Kingdom are extra lucky today as you guys can already lock in your pre-order for this stacked DVD by clicking here to Amazon.co.uk. Cant wait to torrent this bisch tonight! There is really no need to include any of his WCW matches. His tenure there was pretty forgettable with the exception of his DDP feud. The one match he had with Shawn Michaels isn’t on there? Crap. I’m picking this one up on day one! What a rubbish dvd to put matches in people have already seen the televised matches. How can championship matches be unseen when many tv broadcast ones have been seen. These matches on this DVD set are ones that have never been released on other DVDS. Was hoping for a few matches with Tito Santana. But still a great list. Nothing from the 1998 Wolfpack days? The end of World War 3, 1995 could have been shown in a few clips or something. The match with Bret Hart from 1994, I guess was unusable or whatever.. Still A Buy On Release Day!!! Wow! Sounds like a bunch of early WWF squash matches! That’s a different direction. Doesn’t sound like a bad line-up at all! There are still quite a few matches of his from big shows that I’d love to see make their way to DVD. Which big shows are you referring to. I love the mixed format on this. some stuff literally no “regular” fans has ever seen and some matches that have aired but never been put onto a dvd. also, even some promos/segments that hadn’t gotten a dvd releases before. This DVD looks amazing like other match collections. That is one thing WWE is good at. Using their huge extensive back catalog. Something I just noticed: 1985 has more matches than any other year. That’s actually pretty cool since that time period isn’t too well known for Macho. I’m all for early footage. I would have loved to see the September 1985 Philadelphia Hogan singles match. Unfortunately the 1985 matches are all versus no names where we all know what’s going to happen. I’m a huge Macho Man fan and there’s no way I’ll watch them. I think the only reason they’re here is either because someone in the DVD department has the baseball rookie card type mentality or to run up the number of matches with short matches (or maybe both). Or that there matches showing Savage’s rise through the ranks which was pretty quick as by the end of 85 he was already facing Hogan in certain markets and Tito in others. Isn’t that where everybody starts? With limited DVD space, wouldn’t it instead have made much more sense to include Tito, Orndorff or Hogan matches? A loss against any of those guys would be more entertaining and also tell that story of rising through the ranks. I just think Macho’s career means so much more than throwaway matches against Mancini, Marino, McGhee, etc. Don’t forget Brian Pillaman, HBK, Goldust, Kane, Bret Hart, Jericho, Eddie Guererro, HHH, Rey Mysterio. The names on your list are very deserving as are the names on my list here. I think Bret had an unreleased set that was the Dungeon set. But there’s more unreleased content for him that warrants another set. HBK I think will get an unreleased set this year sometime, Goldust, a veteran hasn’t had a set on him yet at all so of all the names I can think of, he probably has the most unreleased material as does Vader. Corey Graves and Bayley have no business being on this set as well as the number of squash matches. This is an old school dvd for the die hard fans. Ohhh Yeahh! The 4 hosts chosen make sense. Sean Mooney is there to provide the view of a former announcer who was there during Savage’s run. Corey Graves is there to provide the view of a current announcer. Plus he’s a Savage fan. DDP is there to provide the view of a former wrestler who was there and competed against Savage. And Bayley is there to provide the view of a current wrestler and she’s a diehard Savage fan. Nothing wrong at all with those choices. You get a perspective of Savage from multiple angles. Better off just having Sean Mooney & DDP. To the contrary, it sounds more like they were just looking to get current guys on the disc. I have a hard time believing they’d get that deep in thinking about this project. The squash matches show his rise through the company which was fairly quick. I could’ve done without 15 of those squash matches. Just 2 would’ve been five. The tag match where Taker and Savage team is from 7/21/92 in Portland Maine my first wrestling show. That was also the same show with the Bret vs Shawn IC Title Ladder Match. Hopefully they went back to the original master. If it’s something ripped off a YouTube version of a European TV broadcast, it would be pointless to release as anyone who wants to see it could have viewed it already for free on YouTube. 9 of the 41 matches were never seen before. I listed that and the only match that was released on media was Savage vs. Terry Taylor aired on Wrestlefest 93. Wish they’d do a Blu-Ray with bonus matches. Interesting set. I’d be curious if the 6 man tag, if the Undertaker is introduced as Champion. The matches that aired internationally, I’d be curious if they ripped them from YouTube or it’s from their vaults with no commentary, with the exception of Hogan Steamboat vs. Savage & Honky. A shame they didn’t include one of the Savage Yoko dark matches or Savage vs. Kamala, Savage vs. Michaels maybe saving those for Michaels set, or Savage vs. Bossman. I suppose it’s from their very extensive library vault. And if the match was done before Tuesday in Texas than I can’t see any reason why Taker would not be intro’d as Champion. This is a legit dream match for me. I can’t believe we’re actually going to see a reunited Mega Powers in a 92 dark match against the weirdest possible opponents. I still haven’t picked my jaw up off the floor. I never thought see “Berzerker” and “dream match” in the same post. Yup, any of those crazy 1992 characters. I used to send postcards to Coliseum Video Fan Favorites requesting these types of wacky matches. Me neither. The Berzerker was a weird choice as a tag team partner in a match like this. I wonder if he was a sub for someone who couldn’t make it that night? Well Jobber at least you get to see your beloved Paul Roma on this set. I’m sure you are very pleased with that. The Berzerker was a sub for The Undertaker, according to The History of WWE website. Paul Roma is on this release?! I am jazzed about this release now more than ever! While he was never afforded the opportunity to be Mr. Wrestlemania like what’s his name, he was definitely Mr. Dark Match! Thank you Brandon Vendetta for this news! I can’t wait- Macho Man vs. The Horseman will definitely steal the show on this release! Never said that numb nuts it’s a singles match from 1985. No Horseman. Macho Man vs. Future Horseman Paul Roma. And why the name calling, Brandon Vendetta? New Macho dvd on the way WITH Paul Roma- let’s celebrate! Ric Flair must have been so frustrated, tag teaming with The Berzerker. The 6 man tag match against Undertaker, Flair & Jake might be the only taped match Taker had as WWF Champion before losing the title the next night to Hogan at Tuesday In Texas. That’s a pretty cool rare gem in itself. I like the lineup for this. Yeah there’s some things you can nitpick about what should have been included, but overall I really like this. Looking forward to it. There’s a match against Davey Boy on YouTube. Interesting. I gotta check that out. Thanks. Yeah. I am too. Figured that’d be a definite addition to the list. Maybe they’re saving that for an eventual Undertaker Unreleased set??? Still an awesome list though. Happy to see some matches against Steamboat & Jake Roberts. Where did this match take place? I believe they had 3 matches in the summer of 1991 with Savage replacing Ultimate Warrior. Taker only won 1 of them. I think the only match that looks to be taped by WWE was from July 30, 1991 from Portland as WWE had a feature on Youtube couple years ago about “5 matches you never knew happened” and they showed some footage of it with the hard camera. So it looks like does exist. I’ve been hearing about this Savage vs Undertaker match for quite a while on this site. Im suprized it didn’t make it on this set but having said that it’s got to be on the long awaited Undertaker set if it ever gets made. I assume that this dream set that fans have wanted for years will come out some time after he officially retires if that ever happens. I hope as I’m sure everyone else does that one day it becomes a reality. He’s gonna retire sometime. They all do. I hope we’ll get a documentary set on him afterwards but feel while it’s possible this match w/Savage is included, chances aren’t high bc there’s a ton of Taker content (we’re talking close to 30 yrs as of this writing) that they’ll probably wanna put on the set. Also hope the documentary portion is a career retrospective one at appropriate length, not the short length recent documentaries have been. After waiting so long we deserve an appropriate length Undertaker career history retrospective documentary. However the Savage match has a better chance and makes more sense on an Unreleased Undertaker set of which I believe is bound. Only wish it was released around WM34 if that’s his official last match ever or SSeries this year to celebrate his 28th anniversary of his WWE debut back in 1990. Doubt it happens but would be great if he did interview/comment snippets throughout the set in between each match. Comments like these don’t mean anything. If there’s something you don’t like about this release, say what it is to help improve future releases. In my opinion, and I know some people don’t like to hear this, this is a Day 1 buy with some problems (Monday night era footage, potential poor quality footage and squash matches). That sort of thing needs to be said as it’s very legitimate. For example, what serious fan would rather watch Savage vs Mario Mancini as opposed to Savage vs Hogan from Philly? I know some people don’t think it’s productive to say anything negative. To them, I say how many WrestleManias did Mario Mancini appear in, let alone main event? Definitely see your point and agree with some of it. 1. Does WWE view sites like this? 2. Whether yes or no, do they care enough to really listen? Yeah they SHOULD but doesn’t mean they will. I would imagine the DVD department does view sites like this. If they don’t, they should as it’s an excellent sample of the base consumers. On this site alone, they have access to average fans, perfectionists, collectors and people who will happily praise their every effort. The one thing all of these groups can agree on is this is a really good release, which should send them the message to continue on with more unreleased collections. Does it affect their production? Again, probably when considering we’re seeing more unreleased collections (and Michaels is slated for later this year). Hopefully the company will take note of the diverse opinions and tweak/improve their offering as nobody and nothing is perfect and you have to know they understand this. “Unreleased” as in unreleased on DVD by WWE Home Video. So this is more like Hulk Hogan’s Unreleased set and Bret Hart’s Dungeon Collection. They probably shouldn’t have used the word “Unseen” in the title as that’s not strictly true for the TV matches, but I for one am glad they are included, for variety. And even the TV matches are legitimately unreleased to DVD. I like the overall approach where they include roughly 25% totally unreleased and the rest has aired on TV. This ensures you get some really out of the box stuff and some memorable material. The only things they need to avoid going forward are no name squash matches, poor video quality and Monday Night Raw/Nitro (particularly from 1995-1998 though I’d be okay if it’s avoided altogether). I think they’re figuring it out on the Raw stuff as is seen by their 12/13/93 Fatu match that’s not being billed as being from Raw even though it is. What’s wrong with matches from WCW? As long as they’ve never been released on DVD before I see no problem with that. Personally I’m glad the match with Austin is finally getting a DVD release. And some squash matches are ok as long as there is a point behind them. Like the match against Aldo Marino was Savage’s WWF TV debut match, so that’s cool to have on DVD as well. There’s nothing wrong with matches from WCW. I’d be thrilled beyond belief if they started releasing WCW Unreleased DVDs. In fact, outside of the Flair and Steamboat matches, the Austin match is maybe the one that interests me the most. The squash matches do nothing for me (maybe a little aggravation for what might have been there instead). Even if you give the debut match a pass, there’s still others that shouldn’t have made the cut. 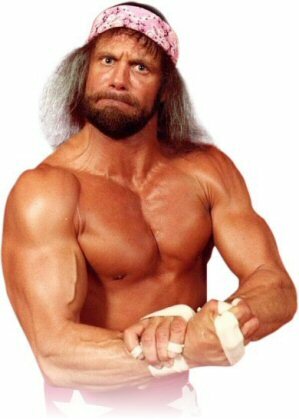 This is the Macho Man. I mean really, 2 Mario Mancini matches on one set? I think that’s more than he ever had throughout the entire run of Coliseum Video. Yeah the singles matches with Mario Mancini and Scott McGhee, I don’t know what purpose those matches have. I have no answers for those 2 matches, but the tag match with Mancini against Savage & Ventura is there I’m guessing because they wanted to include a match from Savage’s brief period where he teamed up with Ventura for a little while and there’s probably no matches against a name team available in their library. Some of the other matches that would be considered jobber matches are with guys that would go on to become name wrestlers in the future. Like Paul Roma and Troy Martin(Shane Douglas). So they weren’t your typical career job guys like Horowitz, Lombardi or Sharpe. Surely these matches are more appealing than squash matches. I absolutely agree with your list of should have been included Savage matches as well as your and LP1’s points on squash matches. Imho though I think those squashes are there bc they fit the theme of this set – unreleased, rare gems, etc. Yes your list of matches def fit that theme too. But honestly so do squashes as much as I wish your list of matches replaced those. They can always do a volume 2 of Savage down the road if this one sells well enough. I mean, WCW Pro?!?! They went that deep into the archives? Awesome stuff. This is a mixed bag. On the one hand, I don’t understand this recent obsession with no name squash matches as seen on recent Warrior compilations and this one. I’m also bored of the endless Nitro 1995-1998 footage that they love releasing. We’ve seen enough of that on DVD. On the other hand, the matches with Flair, Steamboat, Austin, Dibiase, Jake, Luger in 93 and Yokozuna all have me interested. I’m buying it on Day 1 for those specific matches I listed. The tipping point as to whether I actually enjoy it will probably be the video quality. If it has the poor quality of some of the matches on DVDs 1 and 2 of the Unreleased 1986-1995, I’m going to have to seriously think about continuing to purchase WWE DVDs. I’m somewhat optimistic. One lasting question: Where’s the 1991 singles match versus the Undertaker? They either need to release that match once and for all or make a public statement explaining why they won’t. I’m really glad that they went the route of including some TV matches with commentary to break up the silence. I am too a little disappointed that the Undertaker match isn’t included though. I thought that would be a shoe-in. As upset as I am about the absence of the match against Taker, I’m thinking they purposely left it out to save it for an eventual Undertaker Unreleased set??? He’s bound to get one sooner or later. Being in WWE as long as he has there’s tons of unreleased content on him that will take multiple unreleased Undertaker sets to release most let alone all of them. Still an awesome list though. Happy to see some matches against Steamboat & Jake Roberts. And there are 2 Undertaker matches here, both tags. I can’t wait to get my hands on this one. Great list. I always wanted to see one of these Hogan and Steamboat tag matches. I hope we see a set like this for Ric Flair, in the near future. A Flair Unreleased is LOOOOONG overdue. They could probably put out a 10 DVD set of great Unreleased televised matches as the NWA/WCW were much more frequently putting on competitive names against each other on free TV shows than the WWF was at the time and he also passed through other territories that WWE now owns the footage of. Lots of wrestlers are as long overdue for Unreleased sets as Flair is. Taker, Sting, Kane, Jericho, Angle, Stone Cold, HBK, Jake Roberts, Pillman, Goldust who’s way long overdue for a set period as he hasn’t had one on him at all, Rock, Foley, Guererro, Mysterio…I can go on and on but this comment will be way way too long if I do lol!!!!! Wow didn’t expect this listing so quickly but this is a day one buy. It’s almost like hogans set- well known opponents mixed with some big men of the day akeem, barbarian, etc. Can’t wait for this one! Day one! This is the kind of set you need to release in the WWE Network era. Hope to see more like it! I think we collectively really need to applaud WWE on their efforts here. This release is absolutely terrific in my book. Lots of nostalgia matches and plenty of stuff I never knew even existed. Savage was such a great singles wrestler that I forgot how easily you could pair him up with other wrestlers and it seemed to work. Really looking forward to the tag bouts. Great listing. I wonder why though nothing involving Bret Hart? Did they compete against or tag up with each other at all in matches WWE have yet to release? Not sure so just curious. Could’ve done without the Nitro and Clash matches in favor of stuff not on the Network, but this still looks great. Looks like another home run when it comes to these unreleased matches sets. So do the matches have commentary or is WWE following it’s recent format of unreleased = no commentary? I’m sure the ones from actual shows have commentary (like Nitro and Primetime), the house show stuff probably doesn’t have it. I’m guessing the matches that aired internationally won’t because why would they. But I see a myriad of TV and live House show matches that will probably have commentary. The international tv shows did have commentary. WWE used to air localized versions of Superstars and Wrestling Challenge overseas and they would include exclusive matches that didn’t air on the North American versions. Great listing! Was hoping vs. Undertaker would have been on as I think it was their only match together. Also not sure if this was even recorded by WWE, but there was a match with Bret Hart in Japan sometime after Wrestlemania 10 which would have been cool to have. Likely only on fancam. Yep. Yokohama 5/7/94. Awesome match. Great lineup. Just disappointed the Macho Man/Taker match is still unreleased. It’s possible that it wasn’t a good match or had a bad finish could be why it’s not released as of yet. Think people will be surprised there’s no undertaker match and i was really hoping for a rick rude and one of the Jake Roberts cage matches but you can’t have everything. Most of those matches aired on television, so there definitely will be commentary for those. As for the other non-televised matches, probably the same deal as the Unreleased: 86-95 set with no commentary. Ohhhh yeahhhhhhhhh!! What more could a Macho Man fan ask for?